You might be ready to trade your vehicle in for a new one, or perhaps you’d like to keep it forever! We wouldn’t be surprised – because our customers are among the most loyal owners in the industry. Whatever the case – you have options. Let our staff at Acura of Memphis help you explore the possibilities. We’ve put together our ‘Acura Lease Return Guide’ below to help you decide what you’d like to do – plus: we’ve added an additional incentive to encourage you to allow us to assist you. If you’re ready for a new vehicle, then be sure to browse our large inventory of new Acura vehicles & check out our lease specials. If you prefer a pre-owned Acura, we have plenty of those to choose from as well – and many that are Acura Certified Pre-owned: held to the highest standards for maintenance and quality. 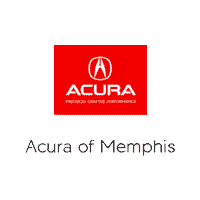 Plus: when you return your Acura or Honda lease with Acura of Memphis, and buy a new or pre-owned Acura from us, we’ll give you an additional $250* towards the purchase or lease! A couple of months before your lease maturity, you should schedule a free vehicle inspection with us by filling out the form to the right. We’ll meet you at the dealership. Just call (901) 630-4664 and we can tell you more! Option 2: Can’t part with your vehicle? Buy it at lease end. Call Acura Financial Services for a payoff quote or call us, and we’ll help! Interested in financing your purchase? Ask about our competitive financing rates. Just be sure to visit our Finance department to explore adding an extended warranty for your vehicle. Around two months before your lease matures, let us know, and set up a complimentary inspection. We’ll walk you through when and where and how to do this. We’re happy to help! Mileage Forgiveness – If you have driven more than your contracted mileage, half of your excess miles are waived, up to 7,500 miles. In addition, you will have 1,000 extra miles added to your base mileage. Momentum Miles- If you have driven less than your contracted mileage, you will have up to 15,000 miles rolled over to your next Acura lease (rounded up to the nearest 1,000). Excess Wear and Tear waived increased to $1500. We know that many of our Acura customers were once, and some even still are – Honda owners as well. As an added client convenience we take Honda Lease returns financed thru Honda Financial Services as well. Interested in upgrading to an Acura? Strong residual values, the highest in quality and performance as well as luxury – combined amazing incentives make stepping up to Honda’s luxury line affordable!